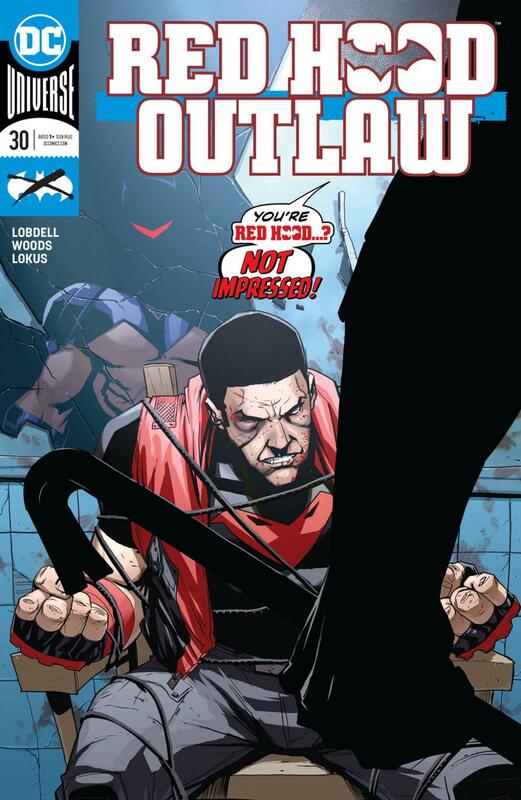 We are finally near the end of the first arc of Scott Lobdell’s Red Hood and the outlaws, where Jason is solo as opposed to him being paired up with other characters. This arc has allowed Lobdell to focus on the strongest part of his Red Hood run since the new 52, which is Jason Todd. No matter the story I feel that Lobdell always got Jason Todd and this arc definitely proves it. We are finally at the penultimate conclusion to the Underlife arc and the funny thing is that the issue gives more questions than answers. Wingman was introduced a few issues ago and has been following Jason Todd, and when he finally gets Jason tied down it seems that he wants Jason to go back to Gotham. Multiple people have used the identity of Wingman, including Jason Todd, and so far, it is unclear as to whether this is the original wingman or a new one. We also get 2 really interesting reveals in this issue. The first is that Bunker is alive and has been captured by the Underlife. We don’t know why he has been captured but perhaps Lobdell is hinting that Bunker will join the Outlaws. The other reveal is that Bizarro and Artemis are in an alternate reality where they seem to be gladiators. Whilst solo Jason has been fun, I’m hoping the other 2 return pretty soon.